The security level for the Australian Jewish community has remain unchanged after the Pittsburg attack that saw 11 people killed in the Tree of Life Synagogue. 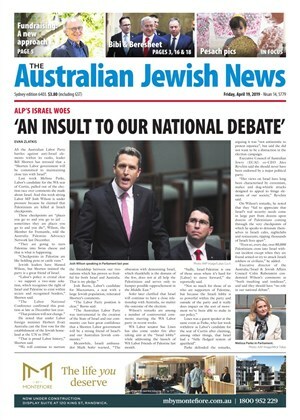 THE warm Australia-Israel ties enjoyed under the Turnbull government will continue under Scott Morrison, but Australia's embassy will remain in Tel Aviv and the government will continue to support the Iran nuclear deal. IN so many ways, 5778, Israel's 70th anniversary year, has been a cocktail of both negative and positive. It has been a ­topsy-turvy year for us in the international arena, a year of turmoil in the Middle East and a year of mixed relations with our closest neighbours. And yet when we examine the issues closely, we can look to the future with a cautious, yet palpable sense of hope and optimism that the positive will outweigh the negative and the future seems bright. 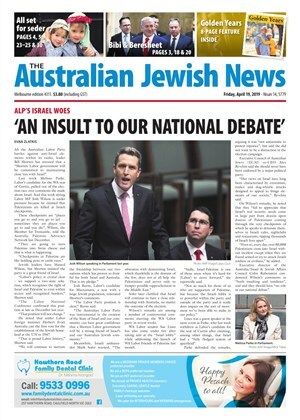 AFTER 16 years of Jewish and Zionist leadership, Danny Lamm is on the home stretch of his second and final term as Zionist Federation of Australia (ZFA) president; four years as eventful as any in the four decades he has been active.